At our recent annual meeting in Georgia, I was elected to serve as PESA’s Chairman for the upcoming term. 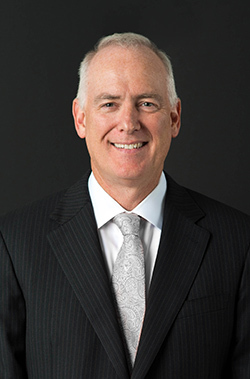 I would like to express my gratitude to our immediate past chairman, Paul Coppinger, for his leadership and hard work this past year representing the PESA member companies that form the backbone of the oil and gas service, manufacturing and supply sector. Under his leadership, we reconfigured ourselves to promote sector priorities and serve as a stronger resource for our members. Our sector has played an integral role in the energy revolution of the United States, contributing powerfully to the economy and strengthening our geopolitical position. Yet, we now face a challenging market and must approach the new environment with a delicate balance of managing costs and maximizing opportunities. With the innovations of hydraulic fracturing and horizontal drilling, the United States is now the world’s largest producer of natural gas, and this has changed the game for our industry. However, the reality is that with oil hovering at $60/barrel, we are exposed to more geopolitical risk. We must also counter potentially aggressive regulatory mandates and increasingly strident anti-drilling movements with focused education on the safety of our technologies and benefits of energy security. Although we met this year in the midst of extraordinary times for our industry, we approached our Annual Meeting with optimism for the future, gathering to explore innovative opportunities for collaboration between the service and supply sector and our customers. Over the course of the coming year, PESA will continue to act as a trusted resource; speaking out on issues that are critical to our industry and advancing member priorities on key industry issues.